WoW PvE content is not only hard and challenging, but also pretty time-consuming, and everyone knows it. In order to finish dungeon routine, one has to spend hours to find a decent group and then dozens of hours more to become or less used to each other, but we may provide you with an easier solution with our WoW boost services. 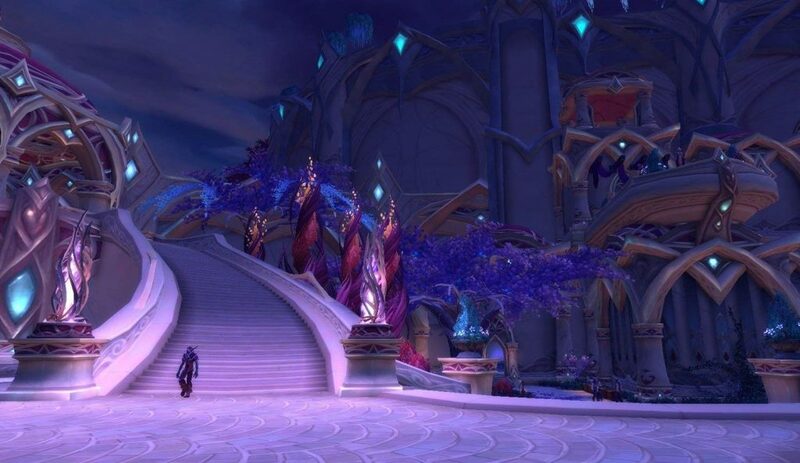 Dungeons have always been a trampoline for those dedicated in high-end PvE content, and if normals have always been an easy walk through the mobs, heroics and mythic+ are truly challenging. By purchase of our mythic key boost, you will receive a guaranteed obtainment of the selected mythic keystone boost without dragging group search or dreadful wipes. In the Battle for Azeroth, mythic dungeons remain an important source of improvement of your character. New dungeons and affixes provide yet another level for those wishing to spend a lot of time in trying to overcome this difficulty. With our Mythic WoW boost, your travel through any encounter will be an easy breeze, and we bet that. There is a bunch of things you may wish to get: from WoW heroic dungeons to WoW mythic carry. For some they are just burdensome grind, while for others getting a party without that very special achievement may be of trouble. Well, have no doubt, as there are top-end keystone carry parties that are ready and willing to help you with getting the best keystone possible. Besides mere WoW dungeon carry, we are glad to provide you with literally any other kind of PvE services, which include the hardest achievements with great rewards, time runs, dungeon expeditions and many more. Instead of a whole batch of artifacts, now we have only Heart of Azeroth, but the Azerite farm is anyway quite time-consuming, so you may wish to let us farm that for you every week, while you have to do only the fun part. You will be able to choose and customize your own BfA mythic dungeon boost by choosing many options, which include selfplay for those who enjoy playing their own characters, getting a special VIP party for you and a lot more. So, literally any mythic plus boost runs are possible, just ask for a specific dungeon or a specific difficulty, and we will do our best to fulfil your expectations. What is more, we provide not only WoW dungeons boosts, but also a full gear runs. It is always a hard part to get that very set of gear, which will let you raid, and if you are left behind by your friends and guild or just do not enjoy endless runs for that very item, our team is on the way for help. Letting aside dungeons, if we speak about gearing, Blizzard introduced a brand new system without tiers for every class, so from now on mythic dungeon gear is more than viable and may be even more lucrative that a normal raid gear. Our WoW mythic dungeon boost team will get that for you, so you could tear that recount apart in the BiS shiny armor. Our WoW boost mythic offers are cheap, solid and customizable, so should you not find the exact thing you wish, just make an inquiry, and we will revert back to you as soon as possible.